Analytics, as we all know (or consider), has become an unavoidable part of our lives. And so does the social analytics. This article is directly sourced from my two of recent Linkedin Articles (though I find Linkedin articles pretty annoying just like the endorsements). Angelina Jolie or Analytics? Who Would You Date? Well, dating (even the word) catches minds, both young and growing. So does (should) the 'analytics'. Your lovely date might not always be there to help you get some solid data to make a decision to move forward; but analytics will. Recently, in my class in London School of Business and Finance, I was listening to Avinash Kaushik - the Indian analytics guy who used to work for Google and authored very good books on analytics. And the idea of the title 'Angelina or Analytics' actually is from the words from that video. 1. Positive Responses and 2. Negative Responses. Based on the exact numbers of these responses I can judge whether my post is a relevant one or not or even whether I can keep writing few more posts here in Linkedin (though it is annoying to see everyone writing on Linkedin these days) or not. So, what are those numbers or figures? Yes, you are right - that's the actionable data I need! To get a certain set of actionable data, we need to analyze another set of previously acquired data. The process of acquiring and analyzing this firsthand data is actually the analytics as a whole and which yield the end results usually in a set of another data (but actionable). Some experts view the first part of acquiring data beyond the scope of analytics; but in my debate I put it like 'if we don't concentrate on what kind of data we need to get the analysis done then it's NOT analytics, it's big data." As a social media enthusiast/strategist, here I would like to mention another important facet of analytics that I call the social analytics. In this post, my idea was to show you what is analytics in general. If we dig it further the unavoidable face of the social analytics appears in this post as well. Because I can always consider the number of views on this post, number of shares, likes etc. 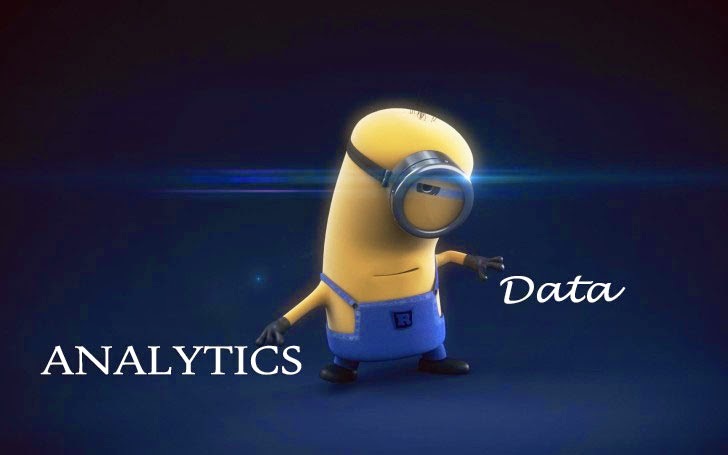 And yes, they make the base for social analytics. So, in my NEXT post, I would like to talk about why Brad Pitt and Angelina Jolie should get separated :) in common words - How do social analytics differ from the rest of analytics? 5. Most indirect attribution to ROI.